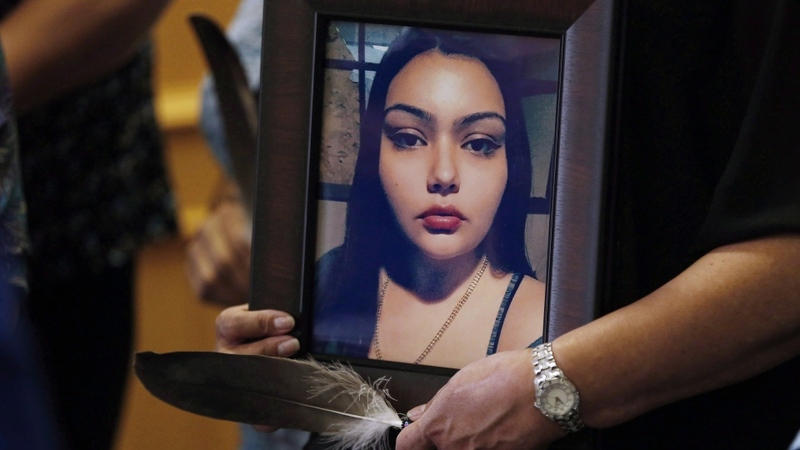 WINNIPEG -- Roland Mousseau erupted in anger Thursday as the second of two teenage girls who killed his stepdaughter in a beating that was shared online was given a youth sentence. Extra sheriff's officers were called in as Mousseau yelled at the girl just before she was led away. Another family member shouted "no justice." Others cried softly. 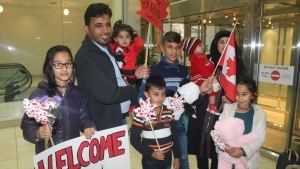 They all wore red T-shirts adorned with a picture of Serena McKay. McKay was repeatedly pummelled as she lay on the ground outside a house party on the Sagkeeng First Nation in April 2017. The 19-year-old was left outside and died of hypothermia, with blunt-force trauma a contributing factor. Her attackers recorded the assault on video, which was then shared via social media messages. Two girls, who were 16 and 17 at the time of the attack, were charged and pleaded guilty. They cannot be identified under the Youth Criminal Justice Act. The older one was given a three-year sentence for second-degree murder in June. The younger was handed the maximum youth sentence for manslaughter Thursday -- two years in jail and one year under supervision in the community. "We expected an adult sentence ... and we didn't get what we deserved. My daughter didn't get what she deserved," McKay's mother, Delores Daniels, said outside court. "Is three years what (you) get for a life, for taking a life? That's not fair at all." Provincial court Judge Lindy Choy called the attack a reprehensible act of "astonishing cruelty". "Serena was not fighting back. She was lying down, crying," Choy said as she sentenced the teenager. "It is clear that you had no mercy." Shortly afterward, the girl uploaded a picture of herself on social media. She was partly covered in blood, and the picture had the caption: "I've been chilling," Choy said. The Crown had asked for an adult sentence of seven years in prison, but Choy ruled the teen did not have the moral capacity and blameworthiness of an adult. Defence lawyer James Wood told the court in June his client suffers from post-traumatic stress disorder from sexual assaults, and would drink to the point of blacking out. She doesn't remember the night of the attack, Wood said.